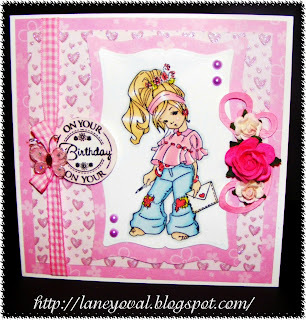 Morning Layne, beautiful card love the pink and image, gorgeous! What a cute card! Love all the pink. :) Thanks for playing along with us this week at Totally Papercrafts! Fabulous card. Pretty in pink. Beautiful Laney, so pretty and love the image! Oh Wow! this is gorgeous Laney! what a cute image and you've coloured her beautifully! 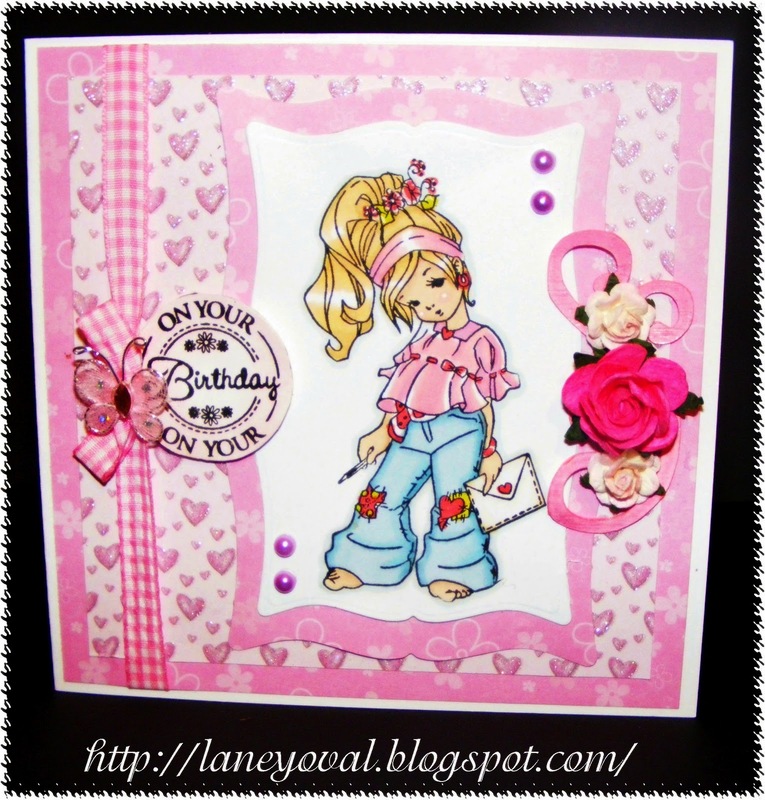 I love the papers and embellishments! Gorgeous colours - it's a really sweet card! Crafting on the papers is look so colorful and attractive.I really like this art on the cards.Thanx to share with us. Lovely card Hun, your colouring is fantastic. Wow another gorgeous one Laney!